Paul Goodloe Mclntire’s ambitions for the Rivanna River did not end even after he established the public park north of downtown in 1926. In July 1929, Mcintire purchased a 362-acre tract of Pantops, including an expansive frontage on the Rivanna River. He donated the land to the University of Virginia in the hope that the University would establish a psychiatric hospital on the land. This land at Pantops had a storied history stretching back to the eighteenth century. Thomas Jefferson inherited the land from his father. 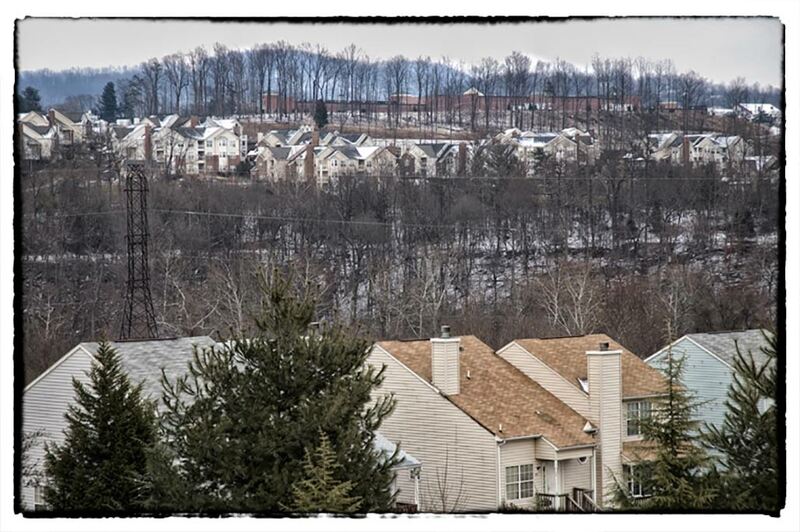 From the edge of the Southwest Mountains, Pantops offered sweeping views of the Rivanna and the surrounding region. In 1797, Jefferson deeded Pantops to his daughter Maria as a dower gift for her marriage to John Wayles Eppes. Jefferson later leveled a house site at the top of Pantops, expecting Maria and her husband to build a house and settle there, within view of Monticello. Maria died in 1804, however, and the house was never built. Pantops continued in intensive agricultural production. In 1860, Meriwether Lewis Anderson, his family, and his slaves operated a large plantation at Pantops with 14 horses, 11 milk cows, 12 oxen, 10 beef cattle, 53 sheep, and 115 pigs. In 1860, they harvested 15,000 pounds of tobacco, 2,400 bushels of wheat, 3,000 bushels of corn, 1,500 bushels of oats, and 30 tons of hay. They also cultivated potatoes, fruit from an orchard, and produced 850 pounds of butter and 250 pounds of honey. In 1929, Mcintire envisioned an institutional and healing landscape at Pantops that could accommodate patients suffering from mental illness and promote the “teaching of psychiatry and nervous diseases in general.” There was personal poignancy behind his plan; Mclntire’s daughter, Virginia Charlotte Mcintire, had entered Richmond’s Westbrook Sanatorium in 1921, at the age of twenty, and was still living there eight years later when McIntire purchased Pantops. Not what Jefferson or McIntire intended. This entry was posted in Rivanna River by admin. Bookmark the permalink.